As the Greek Team did, we have decided to gather plastic lids according to Goal 12 “Responsible Consumption and Production”. We will give those plastic lids to the NGO “Mi Princesa Claudia” that helps children with serious illness. 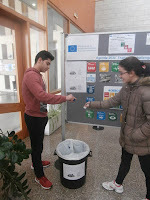 And besides, our school has installed new recycling bins, blue for paper, yellow for plastic and one for batteries. This video shows our work done in the healthy snack contest. This presentation is the evolution of the contest. 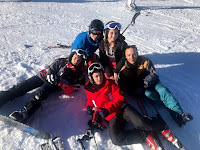 The Phisical Education Department, as each school year, has organized the Ski Week. This course has been developed in Port Ainé Ski Station, in the Lleida Pyrenees, from 13 to 16 February 2018; students of all levels has participated in the activity. We enjoyed a marvellous snow and slopes in excellent condition. We are already waiting for the next year for practising this sport, of high phisical and technical requirements, that allows us to enjoy of the natural environment in high mountain. Ioannina is a historic and modern city located in northwestern Greece, in the Region of Epirus, the southern edge of Europe (a word with a Greek mythological origin). It is true that our country has had many great personalities in its historical course since antiquity (e.g. 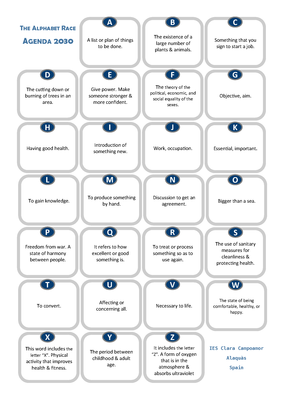 Socrates, Aristotle, Alexander) to the modern age (e.g. Zosimades, national benefactors, that our school has been named after) . Our city is built next to the Lake Pamvotis, which is the second lake all over Europe, which has a habitable island within it. The traditional settlement is located inside the round Castle, which is one of the city's sights, as well as the Big Clock in the Central Square. One of the many Museums and the most recent one is the Museum of Silversmithing, as silver was a basic professional and artistic work of the inhabitants. The city is a tourist destination for both its natural and cultural attractions as well as the local specialties (frog legs) that are worth trying. Goal 14 "Life Below Water". 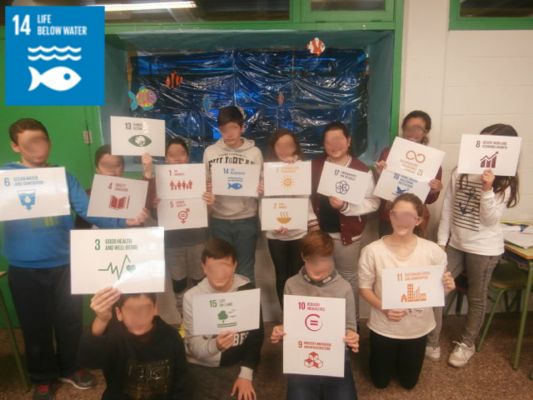 As part of the decorations of our school related to Sustainable Development Goals, grade 7 and grade 8 students decorate their classrooms with images related to Goal 14 "Life Below Water" and Goal 3 "Good Health and Well-Being". 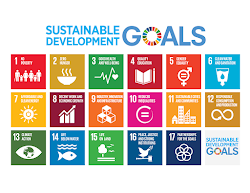 A quiz about Agenda 2030 you should try! 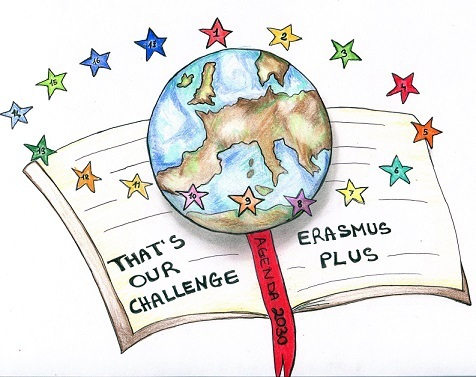 Students of 4th of Scientific Culture will go to the 1st and 2nd ESO classes explaining the project and the contest to be held. It will consist in bringing a healthy snack every day. On Wednesday it is agreed that all classes bring fruit (fruit day). At the time of the break two students of 4th of Scientific Culture will be placed in the schoolyard to write down those students who have brought a healthy snack. 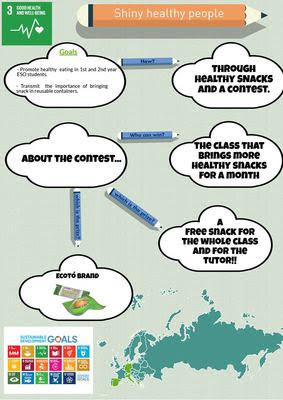 After one month, the class that brought the most lunches will win a free snack for the whole class and for the tutor. They will also earn an ecoto (wrap to carry the sandwiches). 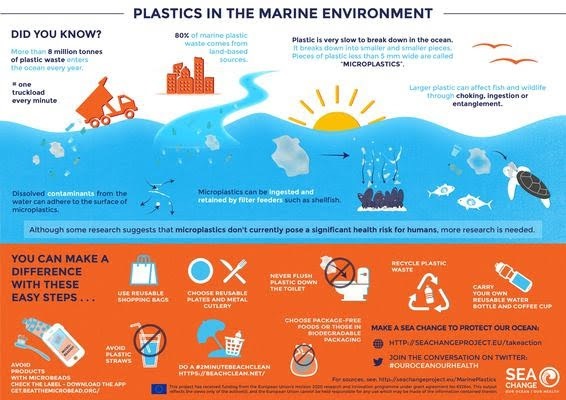 This infographic shows the process that we will follow.